Frogs are important and sadly they do not get enough recognition. 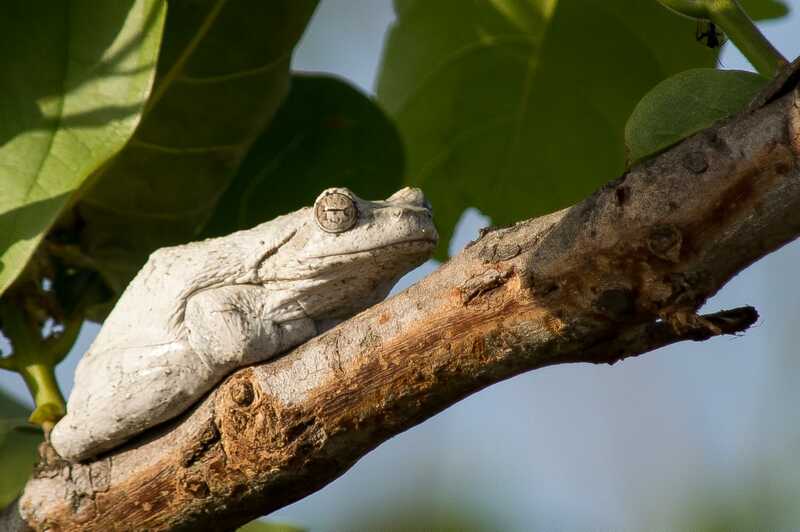 Save The Frogs Day aims to raise awareness about these wonderful amphibians and everything they do for us. Unfortunately, frogs are endangered, the number of frogs has been decreasing since the 1950’s. It has been believed that over a hundred species of frogs have vanished from the world just since the 80’s! Save The Frogs Day works to raise awareness about the dangers they face, and the repercussions of living in a world without frogs. The first thing you can do is find out what kind of frogs live in your area, and what kind of danger they may face. Once you have obtained this information you can then share it with neighbors, and friends to try to learn more about them and how your community benefits from them and how you can ensure they thrive. A person who studies amphibians is known as a batrachologist. Amphibians are found on all continents except Antarctica. Although they prefer warm, moist areas, there are some species, e.g. the Desert Rain Frog, that have adapted to life in deserts. South Africa’s largest frog is the Giant Bullfrog. The smallest is the Northern Moss Frog found only in the Groot Winterhoek Mountains in the Western Cape. The world’s largest frog is the Goliath Frog which lives in Western Africa. They can grow to be over 30 cm long, and weigh over 3 kg. The world’s smallest frog is Paedophryne amanuensis that’s found in New Guinea. At just 7.7mm long it’s said to be the smallest of all known vertebrates. Not all frogs have tadpoles. Many terrestrial frog species emerge as froglets directly from the egg. Paedophryne amanuensis is one such species, as is the Bush Squeaker of KwaZulu-Natal that lays its eggs in moist leaf litter. About four weeks later, the fully metamorphosed froglets emerge. Similarly, all Rain Frog species in South Africa complete metamorphosis in an underground nest. A good reason not to rake, dig or use a leaf blower! Images captured by Warren Jacobs.